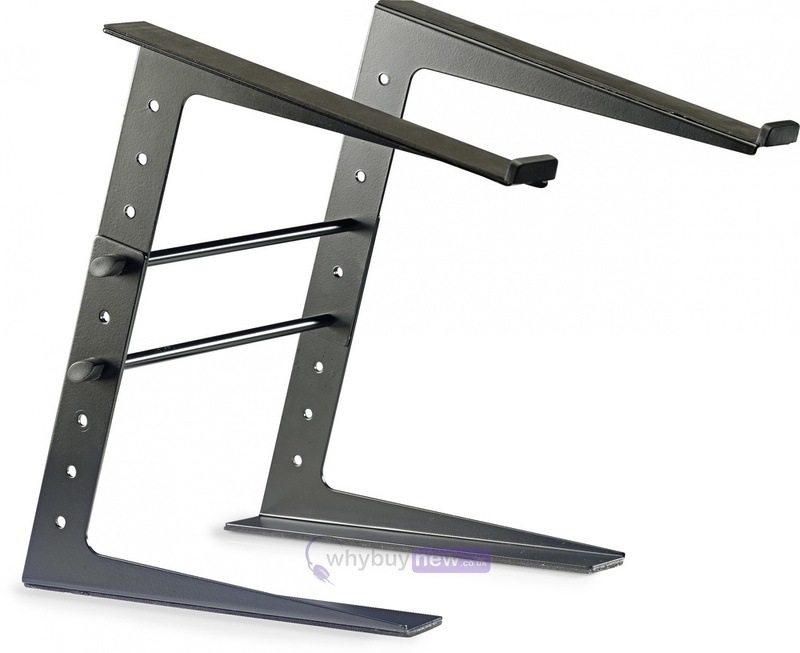 The Stagg DJS-LT10 is a professional DJ laptop stand that will safely support laptops as well as USB controllers, CD players, mixing desk etc. 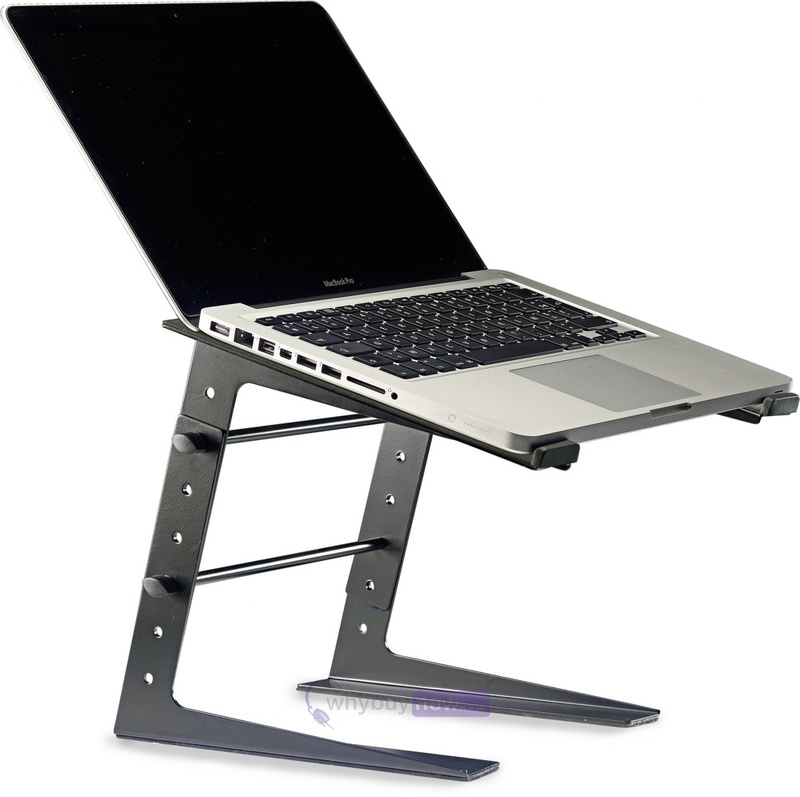 The stand is height adjustable and features a stable, solid steel construction with a scratch-resistant powder coating. The support arms and base of the stand are coated with a non-slip EVA foam to prevent slipping. 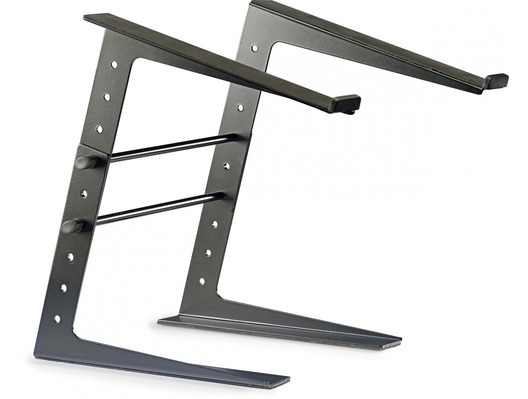 Here we have the Stagg DJS-LT10 Professional DJ Laptop Stand in brand new condition and in B-Stock. The B-Stock versions would have been on display at a training evening or trade exhibition only and will come boxed in excellent cosmetic condition with all accessories and a 1-year warranty. Perfect for supporting your laptop, USB controller, CD players, mixing desk, etc.